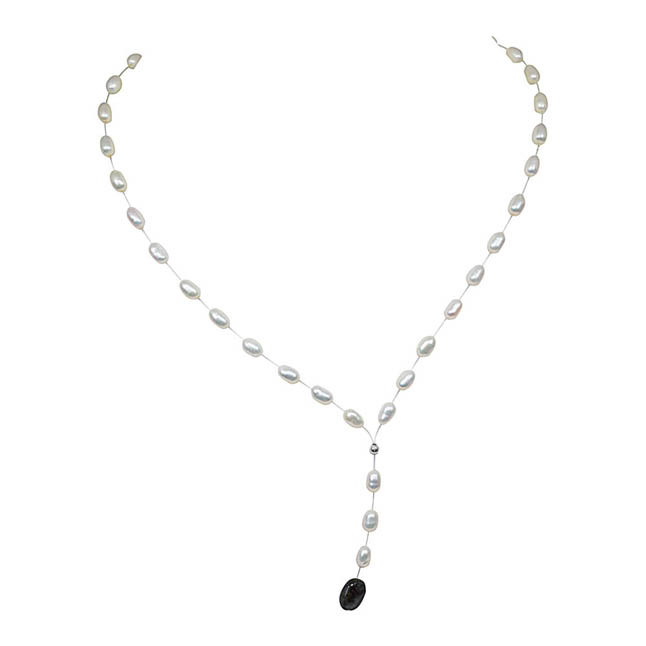 Sober, charming and elegant – That’s how this pearl necklace can be best defined. 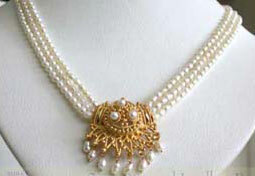 The three strings of milky-white pearls signify abundance and great taste. 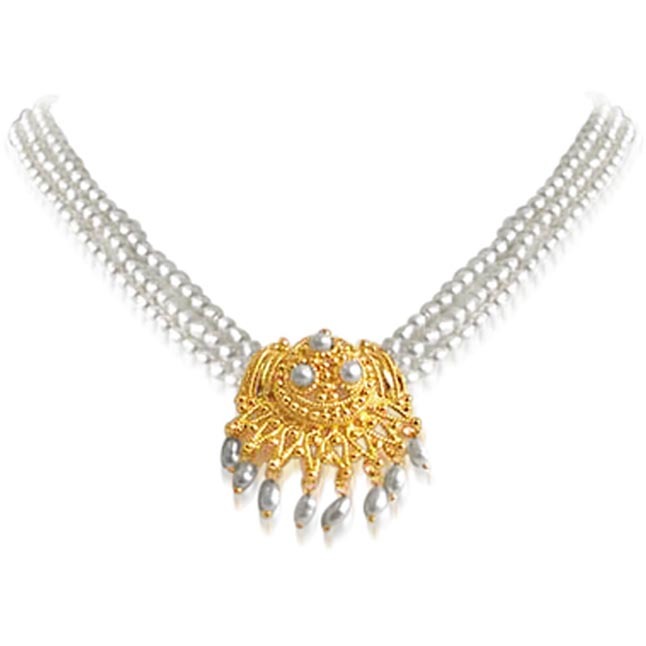 The gold-plated pendant boasts intricate design with three pearls studded on it to form a triangular sequence. 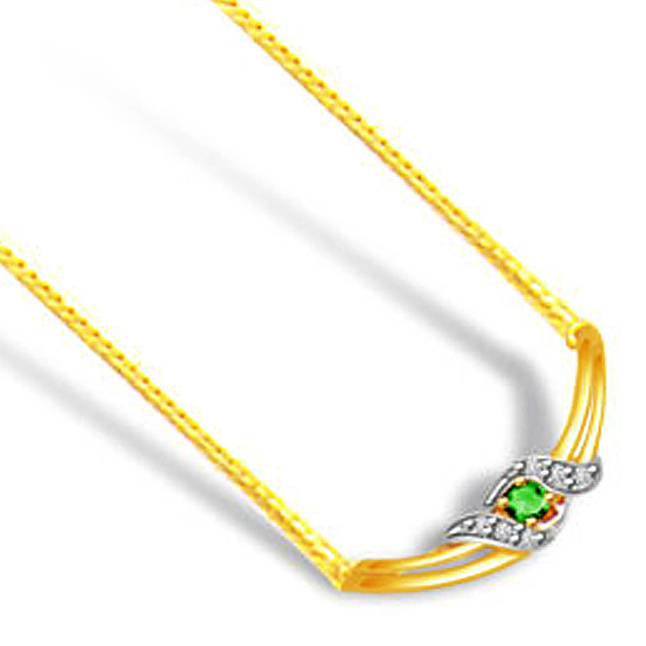 The necklace is 18 inches long, which makes it perfect to team it up with ethnic wear such as sarees. 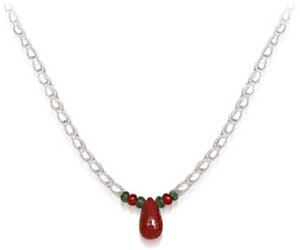 This pearl necklace will make a great gift for her – the most important lady in your life, your mother. 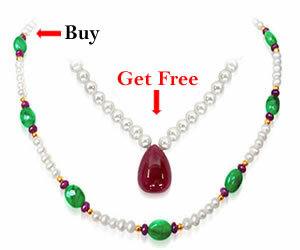 Present her this sophisticated work of art and see her face glow with happiness and pride!. 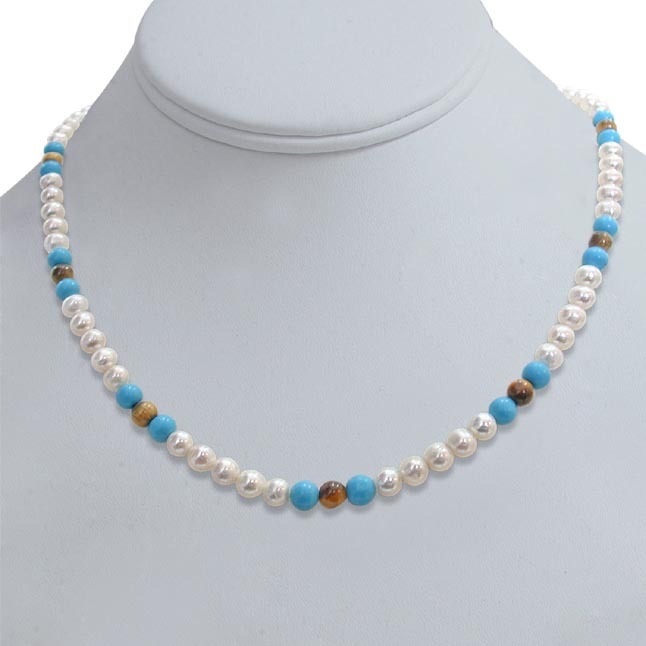 Pearl Length: 4/5 mm Necklace Length: 18"